Picture this: A bustling room full of your favorite fellow tea drinkers, chatter abounding, new friends seated next to old friends who’ve never met before, and, of course, tea a-flowing. 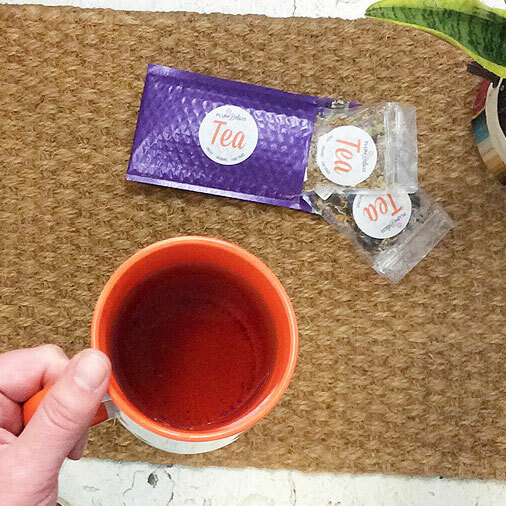 If you’re an extrovert, this might sound like a tea-lover’s paradise. However, if you fall on the more introverted side of the spectrum, this sounds like a recipe for stressful disaster. 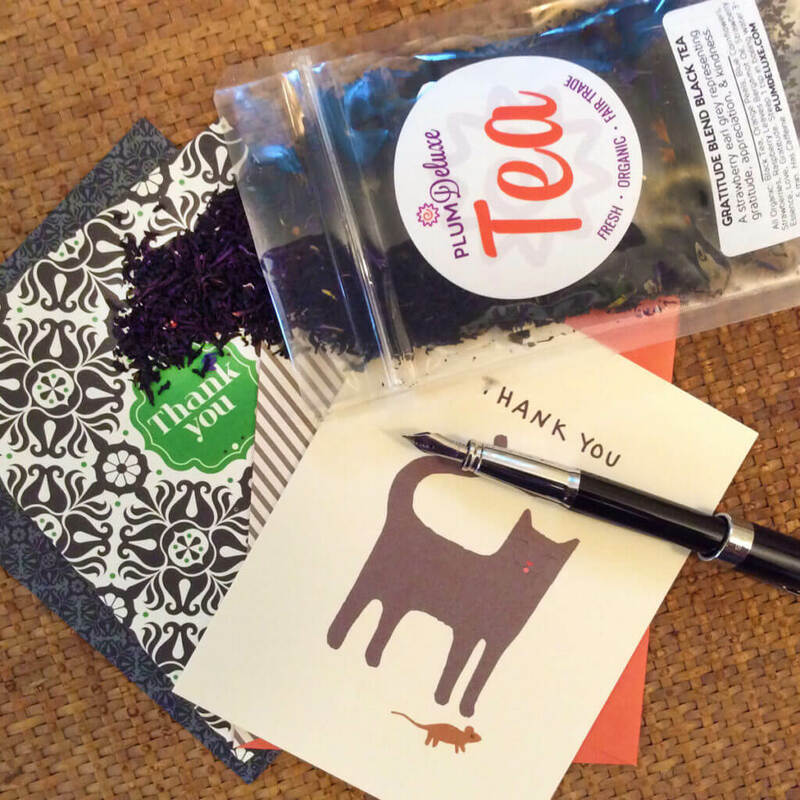 Getting together with fellow tea lovers for a fun tea-centric gathering doesn’t have to be overwhelming. 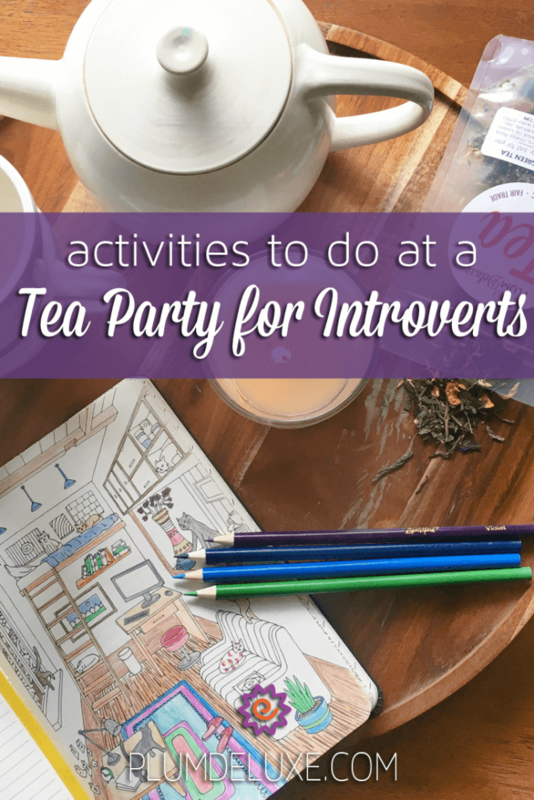 Today, I’ve gathered all of our favorite activities to do at a tea party for introverts (and perhaps even an extrovert or two!). First things first, you may be asking yourself — what exactly qualifies an introvert vs. an extrovert? We won’t get too far into the details, but it’s likely that you’ve often thought of an extrovert as a gregarious, social butterfly and introverts as antisocial wallflowers. Not so, friends! Simply stated, extroverts are those who gain energy and fill up their tank, so to speak, by being around others, and too much time alone can feel draining and isolating. Introverts, on the other hand, are those who perhaps love their time with others, but find it to easily drain their mental and emotional battery; instead, they gain energy and fulfillment in quiet “me” time and solitude. 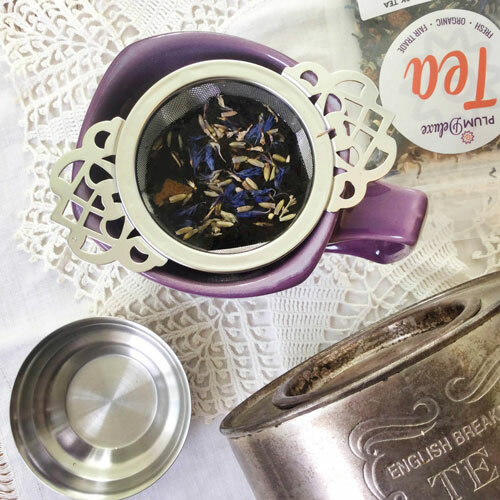 Regardless of where you fall, tea parties and social gatherings are not just for one type or another — everyone can benefit from and enjoy time with tea friends, whether it’s a boisterous shindig or a small, calm get-together. When your goal is an intimate, relaxing — and perhaps quiet — affair, you might be asking yourself: What activities to do at a tea party will work for this kind of gathering? The key here is to focus on planning activities that allow for guests to have some mindful time spent together that doesn’t necessarily require talking (or allows for generous breaks where conversation isn’t required or expected), and perhaps allows for some creative expression and time spent focused inward. 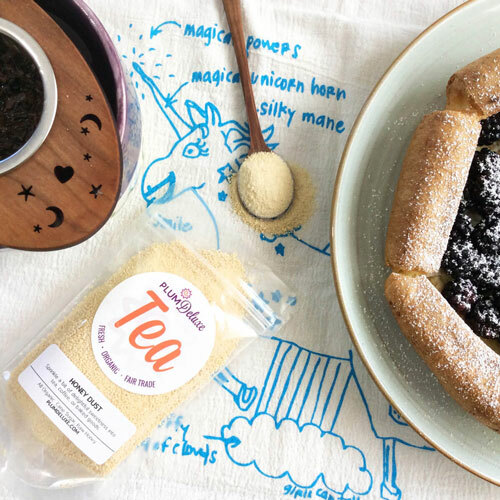 With those goals in mind, we’ve gathered five activities to do at a tea party that are sure to be a hit with your introverted guests. So often a love of books and a love of tea go hand in hand. And who isn’t lamenting over the lack of reading time built into our everyday lives? Encourage your friends to each bring their current read or a book they’ve been dying to get to reading, and let everyone have some quiet reading time — together. 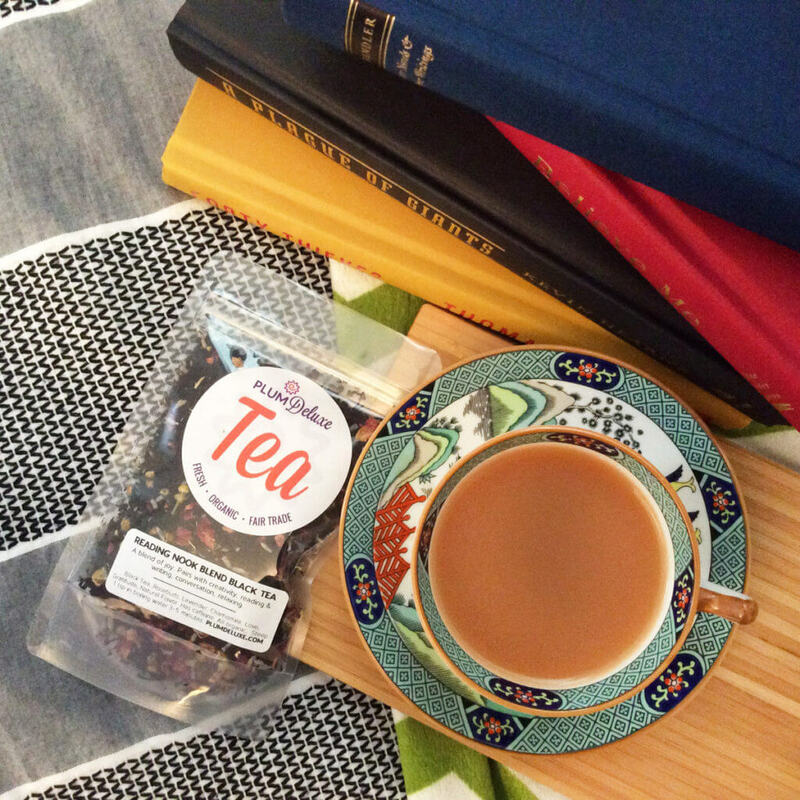 Set the stage with snacks and your favorite teas (Reading Nook blend is practically made for this activity! ), give everyone the option of some cozy blankets to snuggle up with, light a few candles for the ultimate ambiance, and get to reading! Afterwards, over tea, why not have everyone chat for a few minutes about the books they’re reading? Just the right blend of socialization for an otherwise quiet afternoon spent together. Looking for a good book? 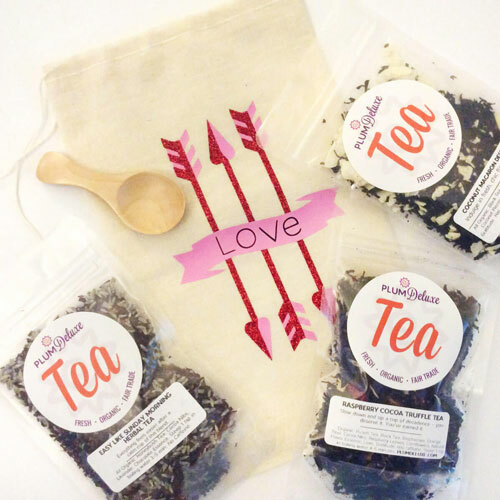 Why not read something tea-themed together like the Cozy Tea Shop Mysteries from Laura Childs? Need more ideas? Host a book swap or put on a full mystery book club tea party! Adult coloring books have been all the rage for the past few years, and for good reason. They’re the perfect mindfulness activity that still lets you stretch those creative muscles! Best of all, you needn’t even worry about purchasing coloring books should your tea party budget be small — websites like Pinterest and Google have a plethora of free printables of beautiful coloring pages, even some that are tea-themed! All your guests need are a few coloring utensils (pens, pencils, crayons, or markers) and, of course, your favorite blend available for everyone to sip! Need more ideas? 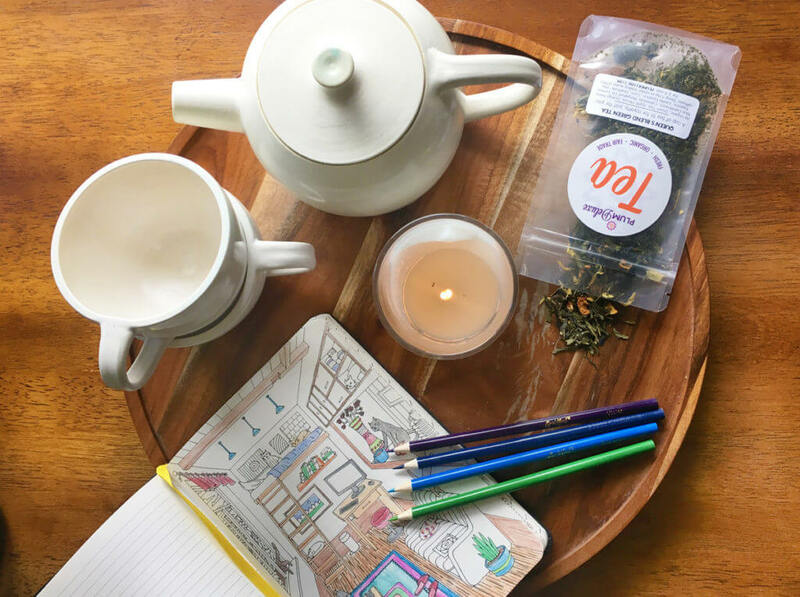 We have an entire article on hosting your own coloring tea party. Some might say the written word is a lost art. Not in this case! Gather some beautiful stationery, stock up on stamps and pretty pens, and gather your friends for a letter-writing party. There are a few directions you could take this theme, from encouraging your guests to write to their elected representatives on topics that matter to them to a more personal chance for everyone to simply write a letter to a loved one to say hello. Need more ideas? Switch it to a journaling party, complete with journaling prompts. To many, cooking and baking can be a meditative experience, so why not extend that same mindfulness and fun to decorating baked goods? You can provide the pre-baked goodies for everyone to decorate, or simply ask guests to bring some baked goods of their own while you provide the frosting and decorations. At the end, everyone will have some treats to take home with them, and they’ll have had the opportunity to engage in a fun activity with the perfect reasoning for not chatting too much (decorating takes focus, you know?). Need more ideas? 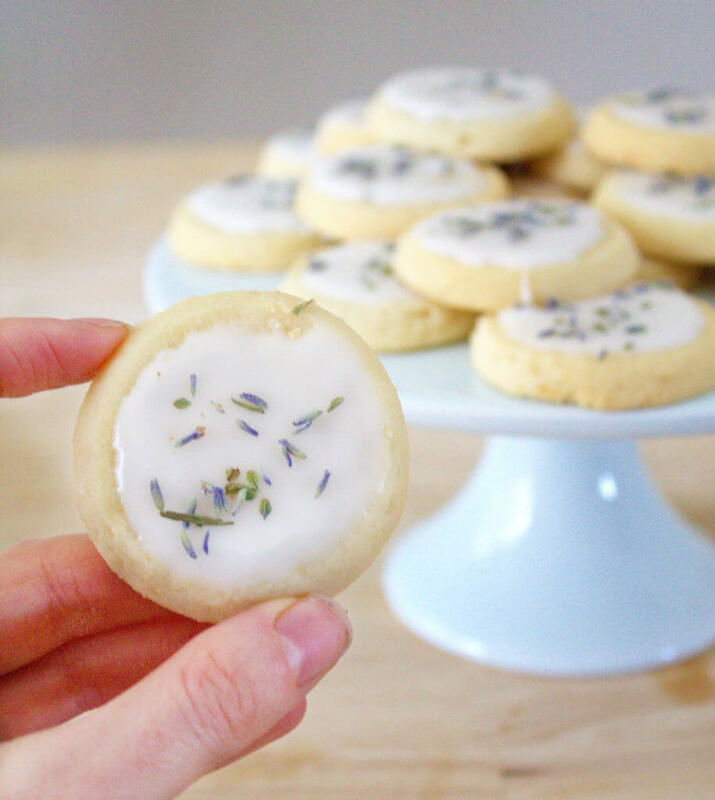 Try a cookie and tea swap party! While certainly a non-traditional tea party activity, there’s something incredibly fun and relaxing about taking the time for self-care, so why not extend that to your group? A spa-like experience is the perfect background setting for quiet, mindfulness, and going inward. Purchase a few inexpensive face masks, fill a few bowls with tea-infused epsom salts and warm water for a delightful foot soak, light a few scented candles, dim the lights, and play your favorite calming music. Once everyone has chosen their pampering activity of choice, let the room will with silence for a while, and give your guests the opportunity to sip their relaxing tea, soak up that great self-care, and go inward. And who doesn’t want to leave a gathering feeling refreshed and renewed? Need more ideas? 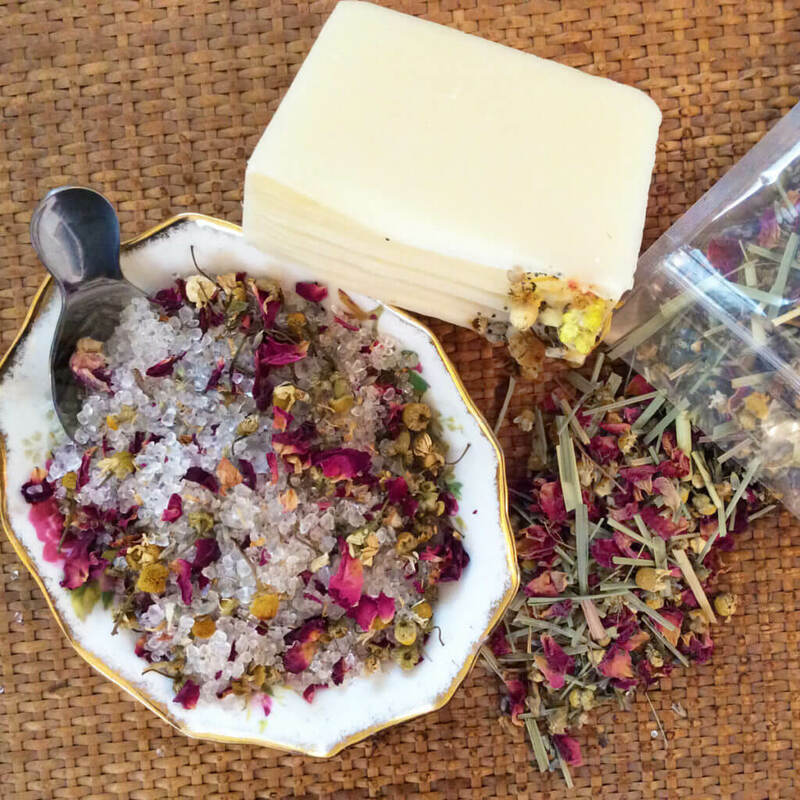 Make your own face masks and scrubs using tea and common kitchen ingredients. Still looking for more tips and ideas? We’ve gathered six fun things to do at an adult tea party over here on the blog. And, of course, any time spent with friends is time spent well, no matter how you choose to structure your gathering. Happy introvert-ing!